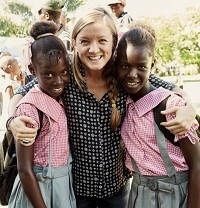 In remote areas of countries like Nicaragua, Haiti, and Rwanda, walking is the primary mode of transportation. But impassable rivers can isolate entire communities and effectively shut off access to schools, doctors, and markets. 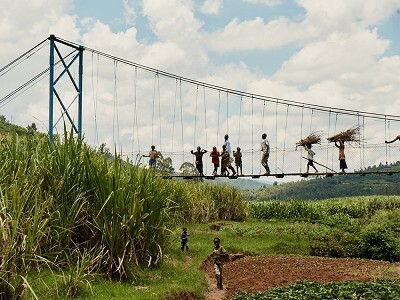 Bridges to Prosperity is quite literally connecting these isolated communities. Working alongside local engineers and masons—and training more in the process—they construct foot bridges above these rivers. The seemingly simple piece of architecture helps ensure kids make it to school, people in the communities get the health services they need, and farmers have a safe method of transporting their crops to markets on the other side. Beyond the initial construction, Bridges to Prosperity works with all levels of local governments and gathers user experience data to ensure they are addressing the needs of the people in the smartest way possible. The impact is profound, from increased profits for local farmers and higher attendance rates for students to a more connected network of opportunity for entire communities. 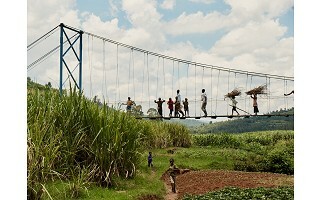 Bridges to Prosperity is quite literally connecting these isolated communities. Working alongside local engineers and masons—and training more in the process—they construct foot bridges above these rivers. The seemingly simple piece of architecture helps ensure kids make it to school, people in the communities get the health services they need, and farmers have a safe method of transporting their crops to markets on the other side. Beyond the initial construction, Bridges to Prosperity works with all levels of local governments and gathers user experience data to ensure they are addressing the needs of the people in the smartest way possible.